Straight talk on what the most powerful man in the world knows about the most important subject. The day after Donald Trump participated in his second debate against Hillary Clinton he was at a Wilkes-Barre, Pennsylvania rally proudly reading from a new batch of Wikileaks leaked emails. These new ones were from Hillary Clinton’s campaign chairperson John Podesta. Trump's focus in the emails was on the 2012 attack on the American Embassy in Benghazi, Libya. As happy and excited as Trump was about the Americans killed at the embassy, it was nowhere near the happiness and excitement in the UFO community over other emails found in the Podesta collection. Those emails had to do with UFOs. The revelation of Podesta’s private correspondences is of great interest to Ufologists because everyone knows that John Podesta is into UFOs and that he is at the center of power in Washington. 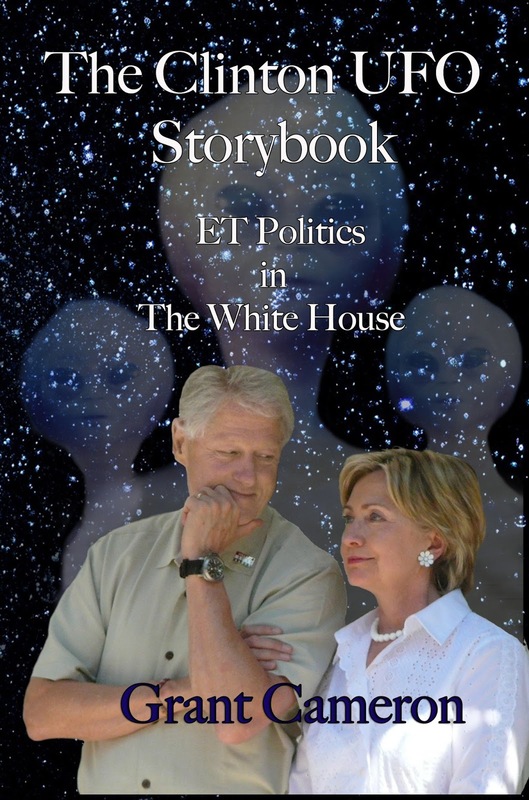 More importantly, based on his previous statements and tweets, it is apparent that Podesta tried to get Clinton and Obama to disclose the UFO story but was unsuccessful. He had served as Clinton’s chief of staff for three years, helped set up the Obama administration, and served as a special advisor to Obama for just over a year. These jobs indicated that he did have the president’s ear. Podesta also had the ear of the UFO community when his tweets started that indicating some sort of disclosure was on the way. The content of his tweets was supported by leaked emails. For example, one of the leaked emails in the Wikileaks collection was a November 2015 email from James Davidson. His bio describes him as a lobbyist who “counsels companies and business associations on how they can achieve their goals regarding legislation before Congress or regulations before federal agencies.” He was described by Reuters as “one of the most powerful lobbyists in Washington.” Davidson wrote Podesta mentioning that he had seen Podesta on TV talking about UFOs. You are now "legitimately" famous - one of my favorite programs on 116 - quoted you as trying to get to the bottom of UFO reports but that the CIA had "frozen" out the Clinton administration. 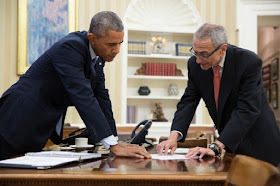 The first of the Podesta UFO tweets occurred on his final day of his job at the Obama Administration, in February 2015, where he seemed to indicate that he had talked to Obama about UFOs and was putting it on the record. It didn’t take long for Hillary to face a UFO question and in that reply (as well as two other similar questions) she indicated that if she became president she would make a move to disclose as much as she could about the secret. This fit with what was known about Hillary and her husband. Both were rumored to have been very interested in the subject since the 1970s when Bill was governor of Arkansas. I was told that the Clintons or someone close to them had a sighting, and we know for a fact that Bill Clinton was approached when he was governor by an official of the Arkansas Human Association to set up a task force to deal with the high number of unexplained cattle mutilations that plagued Arkansas and many other areas of the United States. It is no surprise then that as soon as the Podesta emails leaked researchers were busy putting in various names and terms into the search engine looking for the UFO smoking gun. What turned up may be significant. At this point, I will discuss two of the emails that appear to be from Apollo 14 astronaut Edgar Mitchell asking for a meeting on Zero Point Energy (which many believe to be the power source for the UFOs) and UFO disclosure, both of which Podesta has voiced support for in the past. Edgar Mitchell, on the other hand, had an enlightenment experience coming back from the moon on Apollo 14 and has had a strong interest in UFOs, near-death experiences, zero point energies and consciousness. He had claimed in many of his presentations that he had received briefings from people in the know that UFOs were real and there was a recovery of an extraterrestrial spacecraft near Roswell (Mitchell’s birthplace) in 1947. The idea that these two giants might have met up stirred great interest in the UFO world. Many pointed out that there would be future leaks of Podesta emails and the details of the meeting might yet emerge. Everyone immediately wondered if the emails were legit and if the meeting took place. John Podesta was asked and he said he did not have time to go through the emails and decide which were legit and which were fakes. This created a situation where they all end up in the "faked" category and he doesn’t have to answer for anything written in them. Everything that was discovered by my investigation showed that -at least the UFO- emails were legitimate. The following is the actual email. It is significant to note that the email was written a month before Podesta left the Obama administration to take up the job of campaign chairperson for the Hillary Clinton campaign. Podesta has always described himself as being part of the cult of non-personality, so is not a public person talking about himself. Yet, Mitchell or the author of the email knew that he would be leaving a month before indicating some sort of inside knowledge. As 2015 unfolds, I understand you are leaving the Administration in February. It is urgent that we agree on a date and time to meet to discuss Disclosure and Zero Point Energy, at your earliest available after your departure. My Catholic colleague Terri Mansfield will be there too, to bring us up to date on the Vatican’s awareness of ETI. Another colleague is working on a new Space Treaty, citing involvement with Russia and China. However, with Russia’s extreme interference in Ukraine, I believe we must pursue another route for peace in space and ZPE on Earth. I met with President Obama’s Honolulu childhood friend, US Ambassador Pamela Hamamoto on July 4 at the US Mission in Geneva, when I was able to tell her briefly about zero-point energy. 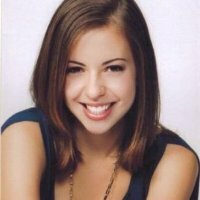 I believe we can enlist her as a confidante and resource in our presentation for President Obama. I appreciate Eryn’s assistance in working with Terri to set up our meeting. PS Terri’s cousin by marriage and former Mayor of Chicago Jane Byrne died recently. Raum Emmanuel was at her funeral. I started my investigation and the story quickly came out as to what had occurred. Those who talked to me seemed ready to open up about what had occurred and correct the rumor mill surrounding the email leak on the internet. I contacted Rey Hernandez who was good friends with Mitchell and now runs the Edgar Mitchell Foundation for the Study of Extraterrestrial Experiences. I inquired as to who had Mitchell’s files so that a check could be made for correspondence with Podesta. Rey replied stating that the email used on the email to Podesta is not one Edgar had ever used when Rey worked with him. Then he told me that he did not have access to Edgar’s files but that John Audette, the Present of Eternea, had contact with Edgar’s daughter and that he would know the status of the files. I contacted John and he started to put together the status of the Mitchell/Podesta email correspondence. He stated that the email, referencing disclosure that I sent him, “is not from Edgar nor was it sent to Podesta from Edgar's email address. Rather, it is from "terribillionairs@aol.com" who is a close friend of Suzanne Mendelsohn (who acted as a healer and psychic advisor to Mitchell). This all turned out to be true. As I contacted people about this I was always waiting for someone to tell me to take a hike. Ufology seems to be a game of secrets so, I was presently surprised that everyone I dealt with was completely open and willing to direct me. For this, I am indebted and will long remember the experience. I send a letter to the email address on the email and addressed it to Suzanne. I got a reply from Terri Mansfield, who owns the email requesting that I send all inquiries to Carol Rosin, who had worked for Werner von Braun at NASA, and who went on to become a major disclosure witness testifying about what she had been told by Von Braun about UFOs. Terri did confirm to me that the email was legitimate. When I contacted Carol, she filled in all the blanks for me. Like Terri she confirmed that the email was for real. Bottom line to the Wikileaks Mitchell letter event is that this was sent by Terri as an attempt to help Edgar get a meeting scheduled with Podesta. Terri told me that the letter was received by his assistant, Eryn, conversations about a possible meeting date took place with Eryn, but that no meeting took place. Then she spelled out why Podesta had been contacted and the fact that the very important meeting never took place. As you know, Edgar was courageously trying to tell people that "we are not alone," that there is no evidence of there being any hostile ETs here or coming to control, intervene or harm us, that we could have zero point energy, that there are no weapons based in space and that it's time to encourage our leaders/decision makers to sign and ratify the Treaty on the Prevention of the Placement of Weapons in Outer Space, initiated by the leaders of Russia and China who have, recently, though the Russian Ambassador to the UN, Churkin, said they are ready to sign a treaty to ban all space-based weapons but that the US refuses (see links below). This is the Treaty that would/will open the cosmos to the truths, including about the peaceful uses and exploration of space, ETs and consciousness, which Edgar emphasized. These are among the topics Edgar told me that he wanted to discuss with Podesta, but, unfortunately, died too soon. At this point, researchers might be thinking that the game is over, disclosure has been exposed and everyone is running for cover. The reality is that nothing could be further from the truth. 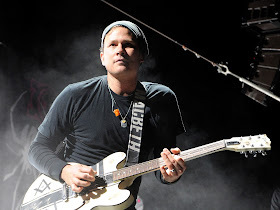 Part of the Podesta email leak sheds light on the efforts of Tom DeLonge to help the United States government disclose the ET reality of the UFO phenomena, and the help that he claimed Podesta was providing to his effort. There were documents related to DeLonge and Podesta in the Wikileaks release. In one of the first leaked emails, sent on October 26, 2015, DeLonge updates Podesta on his work and requests a two-hour meeting where he can introduce two of the 10 high-level officials who are providing him inside knowledge on the government ET program. Things are moving with the project. The Novels, Films and NonFiction works are blooming and finishing. Just had a preliminary meeting with Spielberg’s Chief Operating Officer at DreamWorks. More meetings are now on the books-I would like to bring two very “important” people out to meet you in DC. I think you will find them very interesting, as they were principal leadership relating to our sensitive topic. Both were in charge of most fragile divisions, as it relates to Classified Science and DOD topics. Other words, these are A-Level officials. Worth our time, and as well the investment to bring all the way out to you. I just need 2 hours from you. In a second leaked email, dated January 25, 2016, he mentions Major General Neil McCasland as a man he would like Podesta to meet. 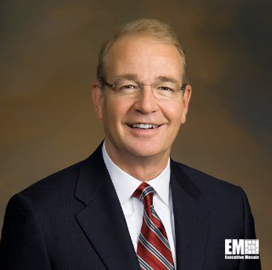 McCasland is the General who ran the U.S. Air Force’s research laboratory at Wright-Patterson Air Force Base. Wright-Patterson AFB. This has been a rumored location for the UFO cover-up since reports in 1947 claimed that the craft and bodies recovered at Roswell were sent there. He mentioned he’s a “skeptic”, he’s not. I’ve been working with him for four months. I just got done giving him a four-hour presentation on the entire project a few weeks ago.Trust me, the advice is already been happening on how to do all this. He just has to say that out loud, but he is very, very aware- as he was in charge of all of the stuff. When Roswell crashed, they shipped it to the laboratory at Wright Patterson Air Force Base. General McCasland was in charge of that exact laboratory up to a couple years ago.He not only knows what I’m trying to achieve, he helped assemble my advisory team. He’s a very important man. 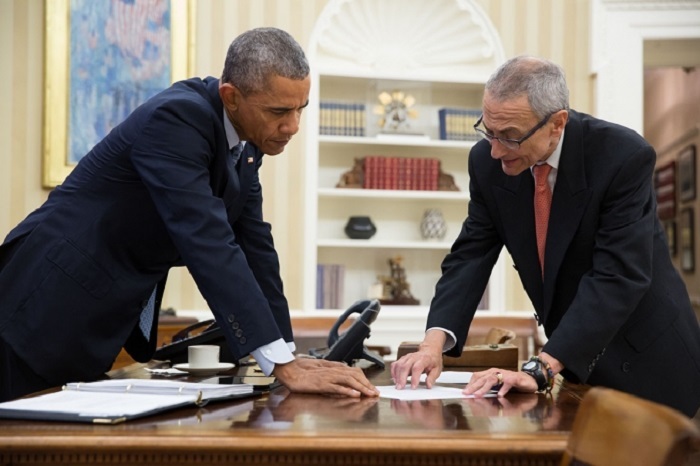 Unlike the Mitchell meeting, the DeLonge Podesta UFO meeting did take place. It occurred on Google hangout on January 25, 2016. Attending the UFO discussion were key figures in the United States government UFO black budget program who had been feeding DeLonge material about how the UFO cover-up worked. The material provided what progress had been made to back engineer the UFO technology. Also at the meeting was Milia Fisher from the Hillary for America campaign for worked for a period of time in Obama Executive Office. Podesta and Tom Delonge. Here are the meeting attendees. Milia Fisher, a special assistant at Hillary for America. Formally with the Institute for American Progress. In 2013 she provided research and speechwriting assistance to President Obama. The Special Assistant to the Commander, Air Force Space Command, Peterson Air Force Base, Colorado. The former commander of the 20th Air Force. American musician, singer, songwriter, record producer, entrepreneur, and film producer. I have maintained for at least a year now that there are three separate but linked efforts to make some sort of disclosure related to the ET/UFO mystery. I have also maintained for many years that the United States government has been leaking bits and pieces of the story almost since the flying saucer reports started appearing n the front pages of US newspapers. I checked today with one of the other disclosure initiatives that I think ties into the DeLonge effort to see if it was still going or whether it was shut down because of the Wikileaks event. I was told it was still operational and everything was on track for what I was told was an outing of the truth in three years. Hi Grant, I cannot understand why it would take three years for the USA to do what Russia and China have already agreed to do..i.e SIGN a NO WEAPONS IN SPACE TREATY. It seems to me, like the issue of Russia being behind the leaks is like Russia engineered the coup in Kiev Ukraine. It's the WAR mongers in the US government & "Regime Change" proponents, like Hillary, that is holding "Disclosure" back. I mean it was Hillary that started the Libya bombing stuff. And she was taking Libya's weapons and passing them on to overthrow Syria's rightful government through Benghazi. I know Hillary did ALL of Mars folks a favor in May 2000 I was there, but she isn't the same woman now that I knew then. "...we were in Europe about a month ago, and heard it from somebody who was in a position to say these things, that there's a phone call between Putin and Yanukovych in which Putin tells Yanukovych to go shoot more people dead in the streets of Kiev. It was intercepted by signals intelligence, and it's sort of an open secret among the various government apparatuses throughout the world now." * Michael Weiss is the editor-in-chief of the Interpreter Magazine. A widely published journalist, he keeps a regular blog on foreign policy and the Middle East for the Daily Telegraph and one on culture for the New Criterion. If we look at phenomenology from a consciousness perspective, all we have to do is ask ourselves one simple question. IS the larger part of society, rooted in the dual worldviews of either the hard physical reality on the one hand, or some sort of Judeo-Christian religious interpretation of reality on the other hand; is _that_ society with its deeply rooted belief systems ready for "disclosure?" I would argue it is not. Contrary to the largely wishful thinking that I feel is coming from people in the field of "ufology" regarding their ardent push for a "disclosure" I think _premature_ disclosure, especially lead by the government, is probably worse than the current status quo of denial and cover-up. Society is just not ready for disclosure, and so whatever disclosure is suddenly presented to society will be used against society to pursue even more rigid social control. I would really urge you to take an hour and listen to the Tom Campbell presentation above. The statement,"Society is just not ready for disclosure,...." I have a hard time with. Have we asked "society?" Every person I talk to about the UFO phenomena has been very open to the idea. (Well there was one lady who came unhinged.) But, like Podesta, I think people are more resilient than that. We can handle the truth. Moreover, if some of us have a hard time with the truth, we will get over it. Negativity begets negativity. We make reality, so it behooves us to be positive about everything. Nothing to do with societies acceptance. It's GOVERNMENT acceptance. See they know that if the people of the world knew of any real OTHER possibilities they would IMMEDIATELY see the failure of govt. Worldwide, almost all at once. The elite would now longer be able to use us to build their ark to Eden. Big story unfolding. The time is now. It is essential that the truth be quickly brought forward. The fact that non pollutive ZPE, cold fusion, torroidal/electromagnetic energy production technology is being withheld from the people of Earth is criminal in so many ways. Our planet is dying and we are the parasite destroying the host by using petrochemicals for 99% of all energy production, plastics and solvents production, transportive fuel etc. Carbon levels in the air are past destructive levels to our ozone ( O3 is broken down to O and O2 by excess C; simple chemistry, really. O3 +C = CO, CO2). O3 and our magnetosphere is Earth's shield from solar winds and deadly solar radiation; without it we will soon look like our sister planet, Mars. All life will cease to exist. Ice will melt. Crops will die. Water will evaporate and not recondense. Cancer. Massive fires. Starvation. Not a peasant picture, is it? Game over. The real issue is not whether ET exists or is even present but that retrieved and supressed technologies is the only solution for the eco-disasterous course we are willingly steering our species head-on into. I for one cannot fathom the fact that my grandchildren and great grandchildren will all be victims of the above mentioned atrocities because of what their parents and grandparents selfishly ingnored purely for greed and control. I urge you all to google "radiation poisoning" "starvation" "dehydration" images. These will be our great grandchildren and theirs as well. May I also mention another urgent reason for disclosure... the hundreds of billions of dollars the taxpayers continue to and have already spent on war, secrecy and deception; things none of us would ever willingly spend a penny on if given a choice. We cannot claim to be intelligent if we continue without wisdom. Less than 1% of Earths inhabitants control the planet and our entire species destiny. The other 99% percent allow this. If the 1% is failing or deceiving it should not be a problem for the 99% to tell them to quit lying, fix it or start packing. (Now that is pretty logical mathematics). Our cosmic brothers will never accept us until we understand this. We must demand disclosure and not worry about how people take it...the future is much uglier than the acceptance (or not) of ETI. Whether or not an individuals life is good or bad is moot is life cannot exist. Posted by Ricci Hansen message me on Facebook to comment.